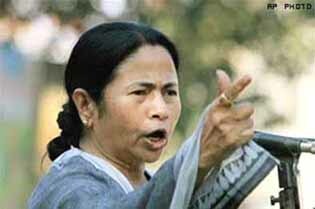 SIR, The West Bengal Chief Minister has suffered yet another setback in the courts. The Supreme Court has now blamed her for dilly-dallying with the panchayat elections. Yes, indeed, she has. Rightly has it reminded Mamata Banerjee that the election would have been over by now had the state government functioned judiciously. The Bench has summarily rejected the state government’s plea to modify its order passed on 28 June on the ground of Ramzan. Once again, it has directed a five-phase panchayat poll beginning on 11 July, as decreed on 28 June. The Division Bench of Justice A K Patnaik and Justice Ranjan Gogoi deserves kudos for its right and just decision. The judiciary has to abide by the Constitution. And so it has. It has once again directed the government to issue a notification for the poll as per its earlier order. The Bench has clarified that while it respects Muslim sentiment, the Constitutional provision that the election must be held before the tenure of the panchayats ends, cannot be given the short shrift. The government has its back to the wall. SIR, ~ With a landmark verdict, the Supreme Court has settled a constitutional issue relating to the conduct of panchayat elections. Implicitly, the Bench has criticised the tendency of the West Bengal government to defy constitutional entities. The message ought to be clear to the Trinamul Congress government ~ the Constitution and the rule of law cannot be subverted. SIR, The West Bengal government now has a non-functioning cabinet. The Chief Minister holds seven portfolios; apparently she doesn’t do justice to a single one. Partha Chatterjee holds five portfolios and is also the chairman of several corporations. Yet he spends the better part of his time on party work or sycophancy. The cabinet consists of opportunists and sycophants with dubious credentials. The veteran and most respected Congress leader of Purulia, Mr KP Singhdeo, was not included in the cabinet. He is a scion of the royal family of Purulia, well educated and highly cultured. He could have contributed to the development of the state. Firhad Hakim, who is at best a local tough with some muscle power, holds an important portfolio. It will be in the interests of the people of West Bengal and the Trinamul Congress if Mamata Banerjee plays the role that Sonia Gandhi plays. She can appoint Subrata Mukherjee as the Chief Minister. But she is not the person who will readily vacate her rusted throne in Writers’ Buildings. And it has rusted in a span of two years! SIR, The disaster has underscored the fact that there is no local security and disaster management mechanism in Uttarakhand. The role of the police, fire and transport departments has been below par. Initially at any rate, there was virtually no state department or organisation which came to the rescue of the people. There was no agency around Kedarnath and Badrinath which could provide relief. It is the Centre that mounted the rescue and relief effort. The failure of the state government is palpable. The Uttarakhand cabinet should be dissolved and fresh elections held. Yours etc., KP Jhunjhunwala, Kolkata, 28 June. SIR, The chargesheet filed by the CBI in the Ishrat Jehan case is strangely worded. It says that the woman is not a terrorist but her aides are. If that be so, then what is the term that can be used to refer to a person (male or female), whose assistants are terrorists? And what is the nature of the job in which they were helping her? Perhaps, a lexicon prepared by some “secular” linguists may contain an explanation for this.